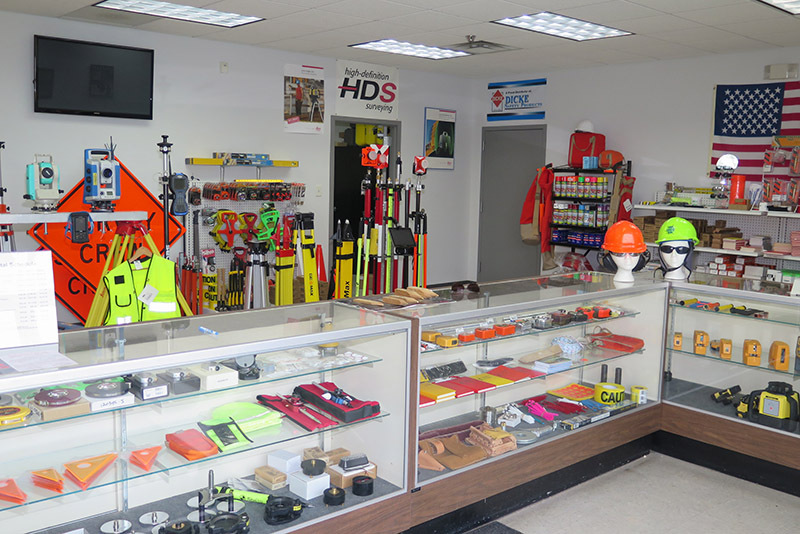 Surveyors Materials carries everything surveyors need to get the job done efficiently and accurately, including high-tech tools and wooden stakes. We offer products from trusted names in the industry, like Leica Geosystems™ and Spectra Precision™, at lower prices. Wooden stakes are essential to surveying. We carry only premium wood for our stakes, which are manufactured on site. They come in various sizes using poplar, pine or red oak. Our stakes are sold on site and are always in stock. Our stakes can be delivered right to the job sites. We ship anywhere in the United States. Just ask us about our options and we will find a way to suit any needs. 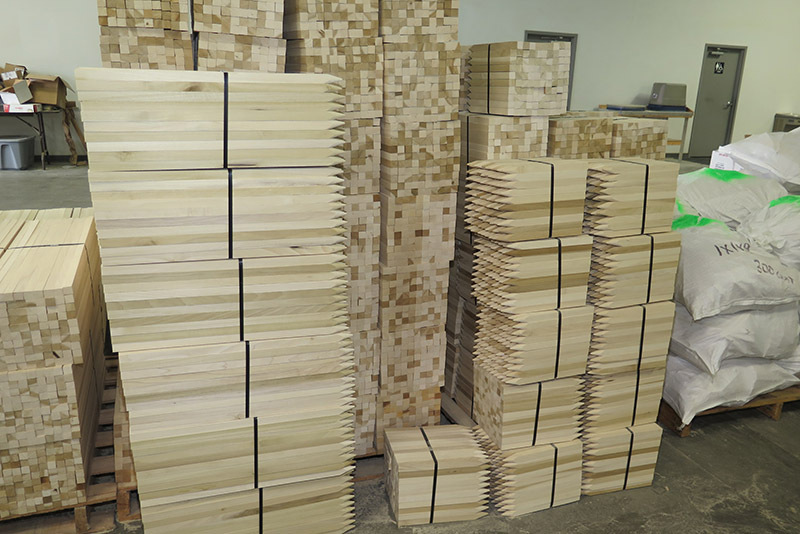 Because we manufacture our own stakes, we are also a wholesale distributor. Please call for a quote on wholesale pallet pricing and fright costs. In addition to wooden stakes, we offer pipe and rebar. We stock 1/2” pipe in 18” and 24” lengths. Rebar is available in diameters of ½” or 5/8”, and is cut to lengths of 18”, 24”, and 30”. Custom lengths are available upon request. We carry automated levels that set up fast, are easy to use, and save both time and money on every job. The automated level is best for accuracy. One of our top brands for levels is Leica™. They are designed by surveyors and developmental engineers, with years of experience, who understand what field instruments need to deliver. Lasers produce a level line that can be used for site grading, pouring concrete, installing fences, and much more. Surveyors Materials carries a variety of lasers including, but not limited to, rotating and pipe. Rotating lasers are either manual-leveling or automatic-leveling, also known as “self-leveling”. We carry both and will find the best one based on our customers’ needs. Our pipe lasers can be aligned to pipes with brackets. This allows pipelines, like sewer pipes and storm drains, to be perfectly aligned with one another. Many models offer self-leveling capability, enhanced range, slope features, and even a rugged enclosure that will withstand the rigors of daily use in the field. Ask us about the options available for our lasers and we will be happy to help. 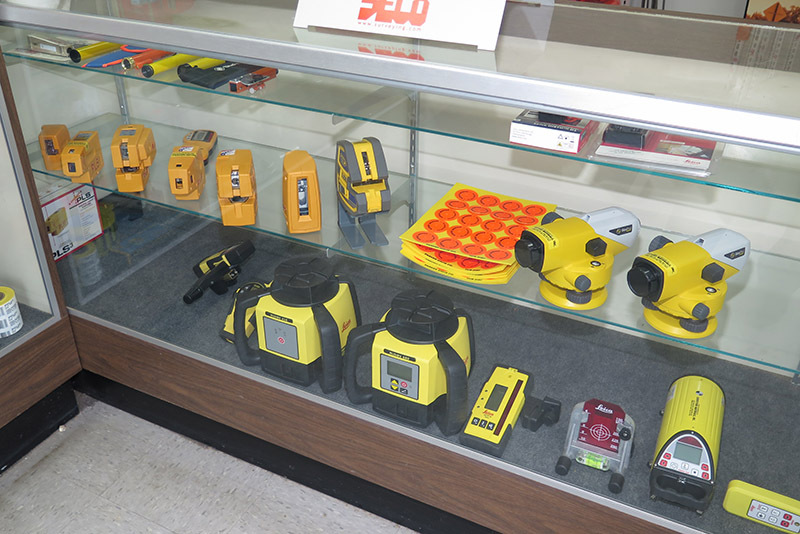 We carry multiple instruments to help with data measurement, including theodolites and total stations, among many others. Theodolites are instruments used for measuring horizontal and vertical angles. Their accuracy depends on its seconds rating. We carry theodolites with different ratings to meet our customers’ needs. Not sure which to choose? Let us know, and we will walk you through the options. Total stations give surveyors the ability to find the height and distance as well as record the X, Y, and Z coordinates of an instrument or rod. The versatility of a total station can increase both efficiency and accuracy of a project. Give us a call at 314-521-9041 to find a data collector that will fit your needs. We offer many different safety products from trusted brands, like Dicke™. They are the standard for safety with reflective gear, road signs, flags, and other safety equipment. Surveyors need to be seen and our Dicke™ products are here to ensure their safety. 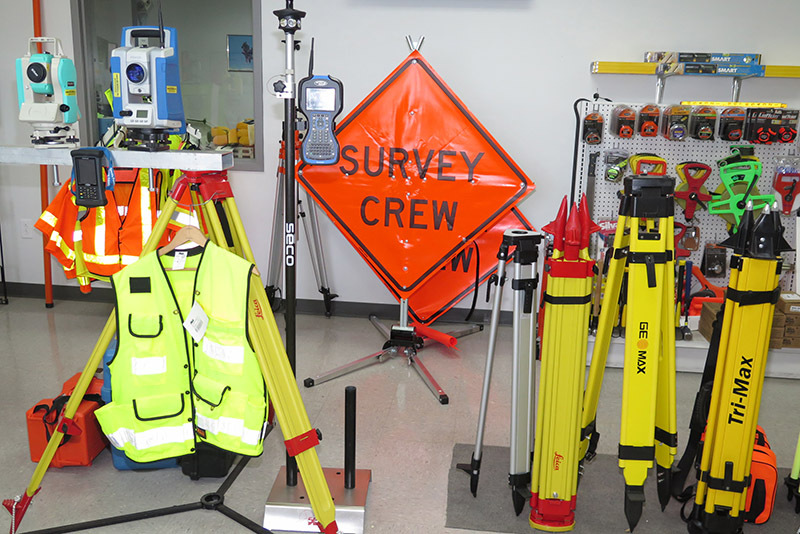 We carry many other materials needed for surveying including, but not limited to, 3D laser scanners and GNSS Base Rover Systems. 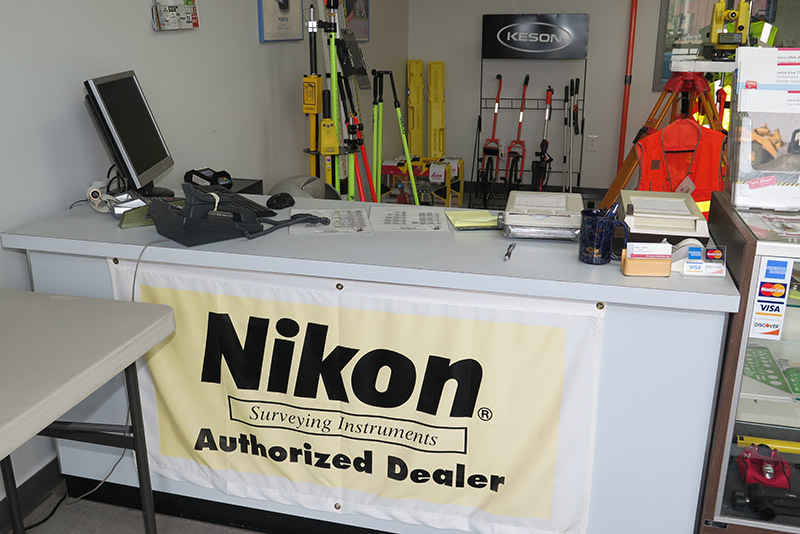 With brand names such as Leica™, Spectra™, Nikon™, Sokkia™ and Dicke™, our staff is happy to help our customers find the perfect tool from our vast collection. The St. Louis Police Department and St. Louis County Police trust us to supply state-of-the-art equipment that helps process crime scenes faster. We carry several products in the forensic equipment industry from well-known brands, such as Leica Geosystems™ and MapScenes®. The MapScenes Evidence Recorder, the industry’s number one evidence collection system, enables officers to identify details graphically and update any information on the spot. It saves time and money, while ensuring precise evidence collection. Leica Geosystems™ has an entire line-up of products ranging from measurement solutions to 3D laser scanning systems. Come in and ask us how we can make processing crime scenes become faster and more accurate.